Our Math Enrichment Program is designed for high-performing students who want to challenge themselves and take their math skills further. Locations in Vancouver, North Vancouver, Coquitlam & Burnaby. Math For Excellence is designed to enhance your child's math education. We provide specialized, high-quality math instruction by knowledgeable, enthusiastic and engaged staff. We promote continuous progress through a combination of in-class lessons, homework, and support. We offer a full math curriculum that builds on the BC Curriculum for grades 5 to 12 and explores each topic in further detail. We challenge students to think in new ways through critical thinking, logic, modelling and problem solving skills. Six levels of Comprehensive Math Curriculum, and a class dedicated to Calculus. Passionate and knowledgeable teachers who know how to help you master key topics. Emphasis on understanding concepts and solving complex problems as opposed to memorizing. Confidence building and grade improvement through qualified feedback. We make efforts to improve our program based on the feedback we receive from our students. The results speak for themselves as seen through students’ increased confidence, their love of math and results at school. Our students are excited to get accepted into the universities of their choice and have a higher chance of success. 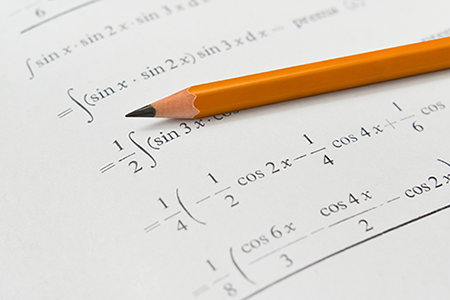 Math for Excellence covers six levels of comprehensive curriculum designed to give students a solid foundation in mathematics, and develop critical thinking and problem solving skills. The material is carefully designed to cover key math areas such as algebra, geometry, trigonometry, fractions, pre-calculus, calculus etc. The Math For Excellence program helps strengthen student confidence in math and their overall math knowledge. The Math For Excellence program ensures that students not only understand the material they are taught, but are able to build on it successfully in future studies. The Math For Excellence program helps build confidence through effective teaching methods and ongoing support.